2019 Audi A3 lease 36 month 10,000 miles per year $2995 down plus TTL and fees. 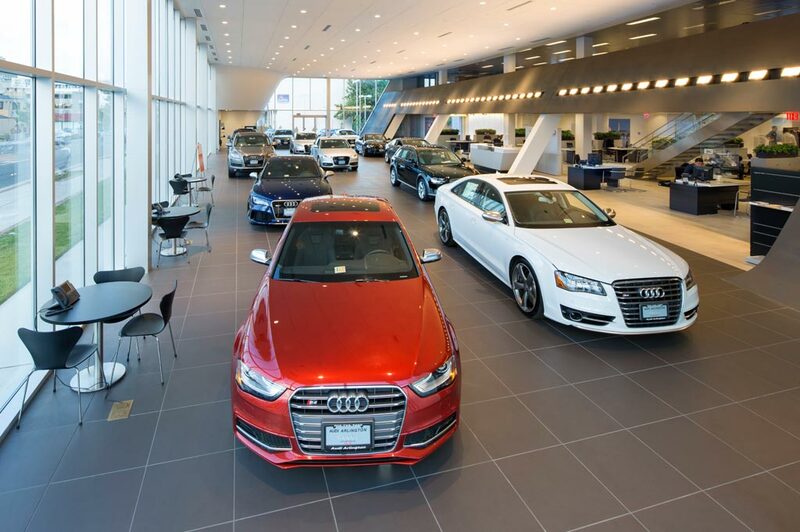 Audi West Houston in Houston, TX treats the needs of each individual customer with paramount concern. We know that you have high expectations, and as a car dealer we enjoy the challenge of meeting and exceeding those standards each and every time. Allow us to demonstrate our commitment to excellence! Our experienced sales staff is eager to share its knowledge and enthusiasm with you. We encourage you to browse our online inventory, schedule a test drive and investigate financing options. You can also request more information about a vehicle using our online form or by calling (800) 443-7993. Audi West Houston is a Premier New and Used Audi Dealer Serving the Greater Houston Area in the heart of the Energy Corridor. Audi West is a winner of the prestigious Audi Magna Society Elite award, and the only Audi dealership in the state of Texas with this status. It recognizes Audi West Houston as one of the Best of the Best in customer service and sales. Our dealership is located directly in the Energy Corridor of Houston, only minutes away from Katy and Fulshear. Looking for the Audi in Houston that fits all your needs? At Audi West Houston we provide everything automotive, with great prices and customer service. With a new or used Audi, you'll get a reliable and stylish new luxury car, SUV or sports car at just the right price. Call us at (800) 443-7993. With a large selection of new Audi cars for Houston, we're sure you'll find the right vehicle for your needs at our dealership. Our friendly sales team will make sure the new car you choose will provide you with everything you expect from it. And with the quality associated with Audi vehicles, your new car will provide you with years of driving enjoyment. If you are in the market for a new Audi, stop by our dealership today. Or, if you'd like to start by learning more about the new Audi lineup, please visit our online showroom! For the best selection of used cars in Houston, come down to Audi West Houston at 15865 Katy Freeway. Looking for a car loan in Houston? Come speak to the experts at Audi West Houston. By working with lenders and understanding your needs, we can create customized loan and lease programs suited to your situation. Our finance department can adjust variables to make sure your loan will fit your lifestyle. The term can be extended to lower monthly payments, or you can pay a little more to shorten the duration of your loan. Call us at (800) 443-7993 or stop by to speak to a financial representative. Our greater Houston Audi car repair center has the resources to make your vehicle run as well as it did the day you drove it off the lot. Audi West Houston's skilled mechanics have spent years working on Audi vehicles and will properly diagnose your car, truck, SUV or vans problem. Audi West Houston also offers car parts to the Houston area so that you can maintain your vehicle. Our genuine Audi car parts will keep your vehicle in top condition for many years to come. We also recommend an auto body shop in Houston in case you've been in an accident. Read about us, visit our dealership at 15865 Katy Freeway, Houston, Texas, or give us a call at (800) 443-7993. Our team is available to answer your automotive questions. Thanks for visiting our site, and we hope to see you at our Houston Audi dealership soon!